The 7,000m² garden is a magnet for sun-lovers and anyone looking to relax. 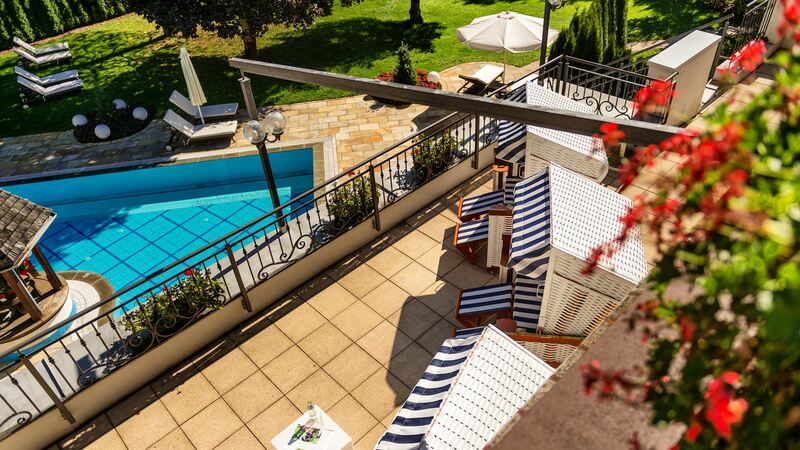 A whole day can be spent lying in the sun either here, or on one of the three panorama terraces! 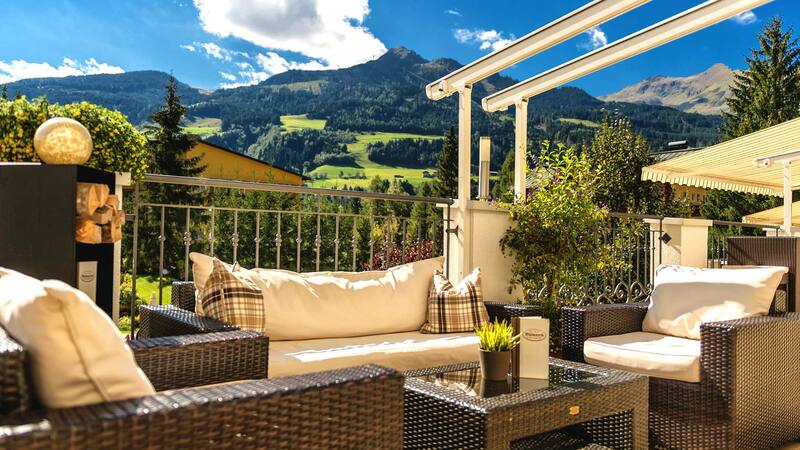 In spring, there is nothing better than lying on one of the luxurious loungers, enjoying the view of the surrounding mountains and the natural beauty of the Gastein Valley. Meanwhile, kids love to splash around in the family thermal pool. Those who like it a bit quieter can go to the adult spa on the other side of the garden and let themselves be massaged by the jets in the whirlpool. Relax in the beach chairs on our sunny panorama terrace and enjoy a view of the magnificent alpine landscape around you! Beach chairs, clam-shaped loungers, wooden Hollywood swings – what more could the heart want! Find your favourite place in the magic garden of our spa hotel. What a great holiday atmosphere it is, when everyone gets together for coffee and cake on the romantic terrace in the afternoons! And for all adults, we also have a sun-downer in the evenings – with a toast to the sun shining over the Hotel Bismarck day in, day out. 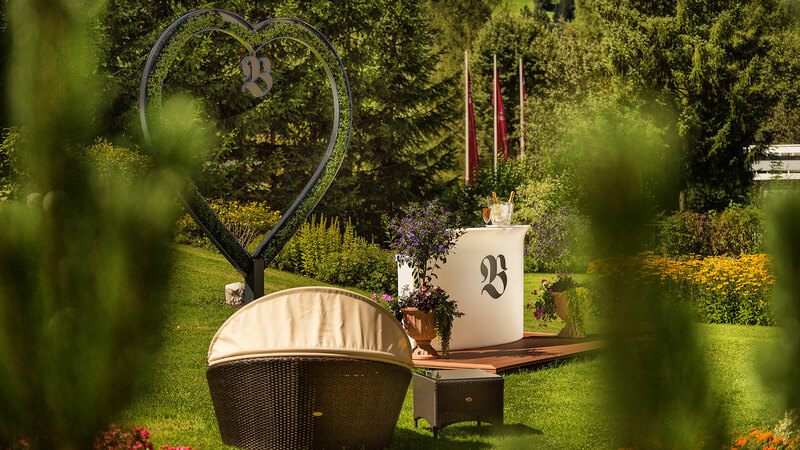 Enjoy the lovely atmosphere on our panorama terrace after dinner and let the bar team pamper you on your spa holiday in Austria. Our pool beverage service will bring your drink to your garden lounger.